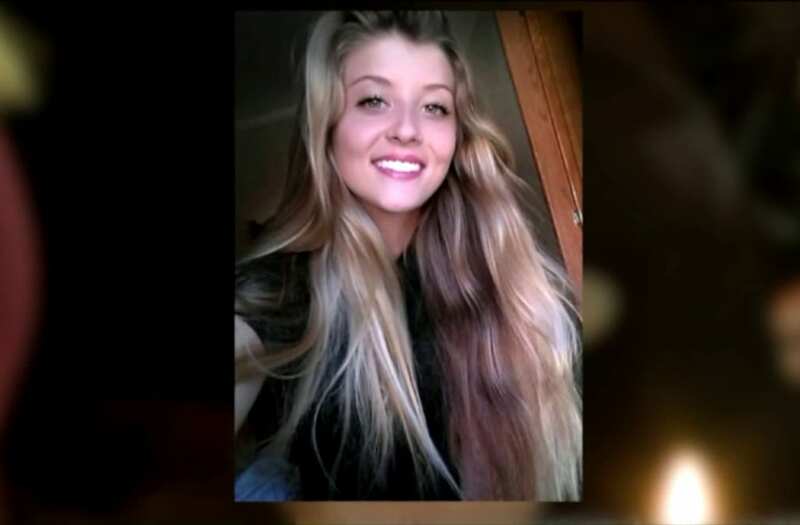 AMELIA COUNTY, Va. (WTVR) -- Hannah Green was her happy, normal self the last time her stepmother Tina spoke with her. The 17-year-old Amelia High School senior, who loved softball and played volleyball, was set to graduate this Spring and planned to attend Longwood University this fall. Green's life was cut short Saturday night. "The Amelia Sheriff's Office received a report of a 17-year-old female with a gunshot wound to her stomach," an Amelia Sheriff's Office spokesperson said. "The victim was in a storage building at the property[in the Morefield Meadows subdivision]. The victim was conscious and able to talk to deputies before being transported, by ambulance, to Chippenham Hospital." Green later died at the hospital. Hannah Green, 17, was found Saturday in a storage building with a gunshot wound to her stomach, she later died from her injuries. While investigators have not yet identified Green as the shooting victim, family members have opened up about her death. Tina Green still does not know exactly what happened to her stepdaughter. "[There was] no indication that she would have done this to herself," Tina Green said of the last time she spoke with her stepdaughter. Hannah Green had been living with her boyfriend at the time of her shooting, Tina Green said. "I don't know how I'm going to play on a field without her next to me," said Rachel Wells. "She makes the most outrageous plays you've ever seen," said Deanna Dorton, Greens' teammate and best friend for eight years. The close-knit community is coming together to try and understand why happened that led to their friend's death. Investigators have not released information on what happened the night Hannah died. "The investigation is continuing and awaiting the results of the Medical Examiner’s investigation," an Amelia County Sheriff's spokesperson said Sunday. No additional information has been released. No one from the Amelia Sheriff's office was available to answer questions about the investigation on Monday, according to a dispatcher who answered the phone Monday. No response has been received from a follow-up email sent to the sheriff's office. "We saw or spoke with her every day... we're still numb and anxious for answers," Green said in a Monday morning interview. Hannah's softball team planned a vigil for their fallen friend. It was scheduled for Monday night at 6:30 p.m. on the school's softball field on Otterburn Road in Amelia Court House. "She was the ray of sunshine that lit up our home and our lives," Green said. "My heart is broken and there is a hole that will never be filled, there isn't a soul on Earth that could compare to Hannah." Friends and family set up a GoFundMe to help Hannah's family pay for funeral costs. Any addition money raised would be donated to the Amelia High School softball team in Hannah's name, Tina Green said. Anyone with information was asked to call the Amelia Sheriff’s Office at 804-561-2118 or Amelia Crimesolvers at 804-561-2118.